Jiading bamboo carving is a gem of Chinese arts and crafts. The works include bamboo tubes, pen containers, perfume tubes, arm rests and table ornaments as well as figurines, landscapes, flowers and animals carved from bamboo roots. The basic techniques include shallow carving, deep carving, fretwork, and round sculpting. Integrating calligraphy with painting, poem composition, writing and seal making, these carvings have a distinctive regional flavor and tangible originality. Jiading bamboo carving has a 400-year history, beginning in the Ming Dynasty (1368 - 1644). The art form's inventor was Zhu He, who lived during the reign of Emperor Zhengde and Emperor Jiaqing of the Ming Dynasty. Zhu, a poet and a painter, was a seal-cutting master. He integrated calligraphy and painting with bamboo carving. Using knives as pens, he created the deep-carving technique featuring fretwork and deep-relief carving. Later, his son, Zhu Ying, inherited his father's cause. He, too, was highly adept at calligraphy and painting. He was particularly famous for images he carved of the immortals and Buddha, all conceived and elaborately cut. His carving techniques and artistic achievements were even richer than his father's. 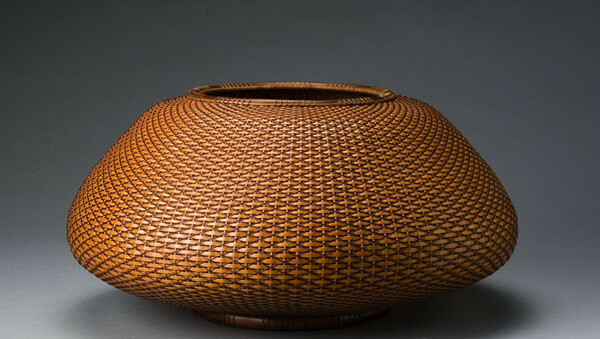 His own son, Zhu Zhizheng, was also a bamboo carver and his works were noted for simplicity, elegance and elaboration. With his fame surpassing his father and grandfather, he was cited as one of the greatest bamboo carving masters in history. The three generations set the basic styles for Jiading bamboo carving. Many famous bamboo carving masters appeared later during the reign of Emperors Kangxi and Yongzheng of the Qing Dynasty (1644 - 1911). Their techniques became more novel and diversified. This was the golden age for Jiading bamboo carving. Jiading bamboo carvings began entering the imperial court as tributes, and gained far-flung fame. In the late years of the Qing Dynasty, Jiading bamboo carving was on the decline due to social instability and frequent wars. In the early years of the Republic of China, Jiading bamboo carving became lifeless, with only a few carvers managing to survive. When modern China was founded, bamboo carving regained attention. The Jiading county government organized bamboo carving cooperatives in 1955. Jiading County Art and Craft Company established a bamboo carving division in 1981. Jiading Museum established a "bamboo carving section" in 1988. Jiading district established an association of bamboo carvers in 2005. On Dec 31, 2005, Jiading bamboo carving was included onto the first national catalogue of intangible cultural heritages.